Thanks to these start-ups and their entrepreneurs, leading-edge technologies and expertise from Europe's space programmes are used to create smarter terrestrial applications. "Since 2003, our business incubation initiative has nurtured over 400 companies, showing the value of this initiative in bringing back to Earth the benefits of space technology," notes Franco Ongaro, ESA Director of Technical and Quality Management and Head of ESA's ESTEC research and development centre. "In particular, ESA Member States have realised the potential in using technologies and services from space to create new businesses and local jobs and doing so under our well-proven incubation scheme. "Entrepreneurs and small companies bring their ideas and we support them with technical advice from ESA and business advice from our partners to develop them into viable new companies in Europe." 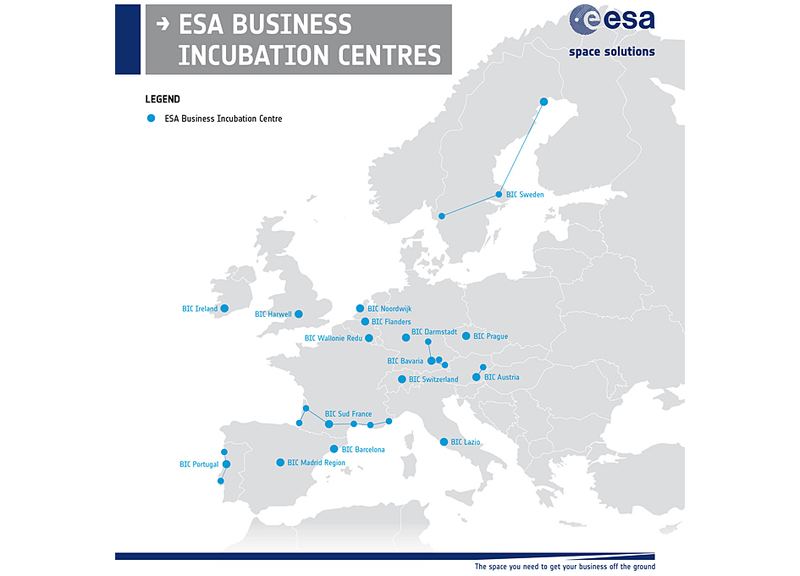 The initiative has now grown to 12 ESA Business Incubation Centres in nine European countries with four more to open later this year, fostering over 130 new start-ups each year. Bringing a Mars sensor down to Earth to improve healthcare, help development in Africa through satnav-based last-mile delivery services, and the use of Earth observation data to assist patients with respiratory diseases are just some of the recent innovative business ideas being developed at centres. An instrument originally developed at the UK's RAL Space to probe the atmosphere of Mars has been used by start-up Mirico, hosted at ESA's Harwell incubator, to develop medical devices and scientific instruments for use on Earth. 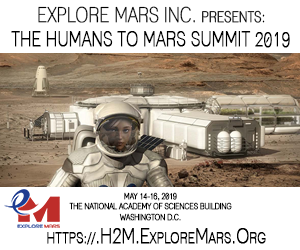 Drawing on the space technology opened up a plethora of applications, from diagnosing diseases at the point of care by measuring exhaled breath, to better understanding of the effect of climate change by measuring atmospheric pollutants in remote and hostile environments. The instrument overcomes major shortcomings in existing units as a result of its space origins it is far more compact, robust and provides onsite laboratory-level performance. 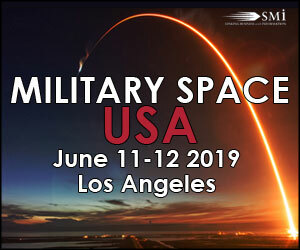 "Because of its highly demanding requirements, space science research efforts nurture new technologies widely applicable to terrestrial challenges," says Mirico's Chief Scientific Officer, Damien Weidmann. "The exciting thing about the technology is the broad range of applications and its potential on Earth to have a positive social effect, from improving healthcare outcomes to understanding climate change," adds Mirico's Business Development Director, Mohammed Belal. Another case is the start-up ukowapi from ESA's incubator in Darmstadt, Germany. "ukowapi" is Swahili for "Where are you?" The company is developing a satnav-based last-mile delivery service for Kenya to support the steadily growing e-commerce. Currently there is no organised platform to match supply and demand. The service will enable retail stores to deliver online orders quickly in the country where there is no functioning physical address system. "Imagine being able to navigate to any point in Kenya, where the streets might not even have names," says ukowapi's CEO Steve Odhiambo. "Our service gives access to a wide range of products and services both locally and globally, simply by virtue of being reachable. "The delivery will be done on electric scooters. Not only does this reduce our carbon footprint, it drastically reduces our operating costs." To reduce costs, ukowapi also intend to install solar panels for powering the scooters, and for the delivery they are developing a solar powered satnav carrier box. In the European Satellite Navigation Competition of 2014, ukowapi won the Galileo Masters Hesse Award and was the second overall winner among more than 400 participants worldwide. At ESA's incubator in Portugal, SpaceLayer Technologies is developing the SOUL app to minimise the risk from air pollution. By using Earth observation data, it will provide air quality alerts for patients with respiratory diseases such as asthma. In addition to raising the risk for people with some health conditions, air pollution also affects productivity and general health, and can lead to diseases like rhinitis, conjunctivitis and dermatology disorders. 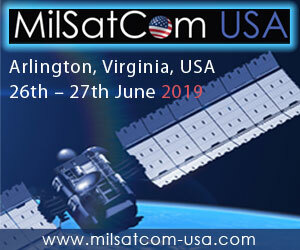 "Based on date from a sensor network installed in moving vehicles, satellite Earth observation images and information from a person's medical profile, the idea is to forecast specific present and coming pollution situations," says Paulo Caridade, CEO at SpaceLayer Technologies. "This can help the user to take decisions on how to avoid or reduce exposure to the pollution." The company expects to have their app ready later this year. The initiative was started as part of ESA's Technology Transfer Programme 13 years ago to help entrepreneurs and start-ups to launch businesses, based on space research and developments. At the end of 2016 the initiative will have centres in the Netherlands, Germany, Italy, the UK, Belgium, France, Spain, Portugal, Sweden, Czech Republic, Austria, Ireland and Switzerland, and will be supporting start-ups at over 20 business incubation locations. Typically, the centres take in new companies and entrepreneurs three or four times a year in a Europe-wide selection process. In addition to office space, each start-up receives 50 000 in pre-seed funding and are supported in getting additional funding from financial and venture capital investors. While hosted for two years at one of the centres they have access to international networks, support from national research institutes and industrial partners, as well as business coaching. More on ESA's Business Incubation Centres here.